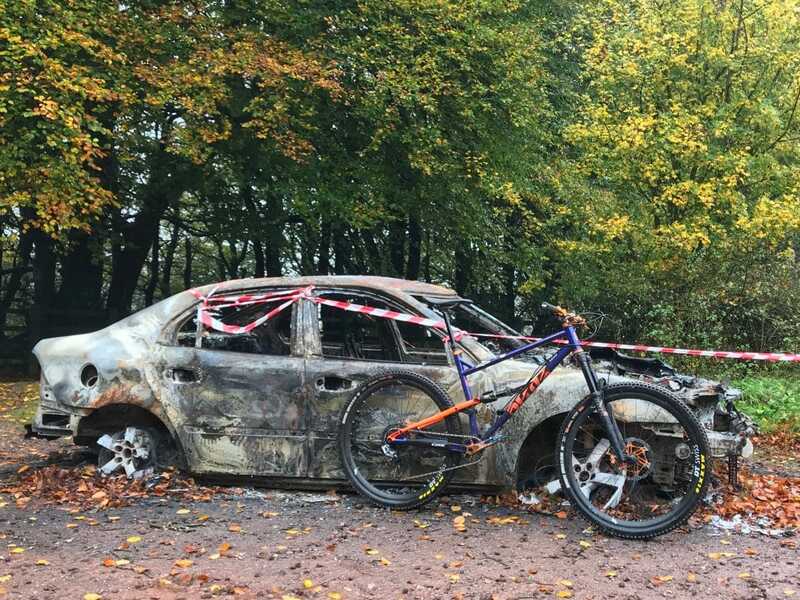 I’ve been testing a few wheelsets over on grit.cx recently. Gravel/cross bike disc braked hoops, designed to be light and responsive and cope with some rough stuff, but not full blown mountain biking. 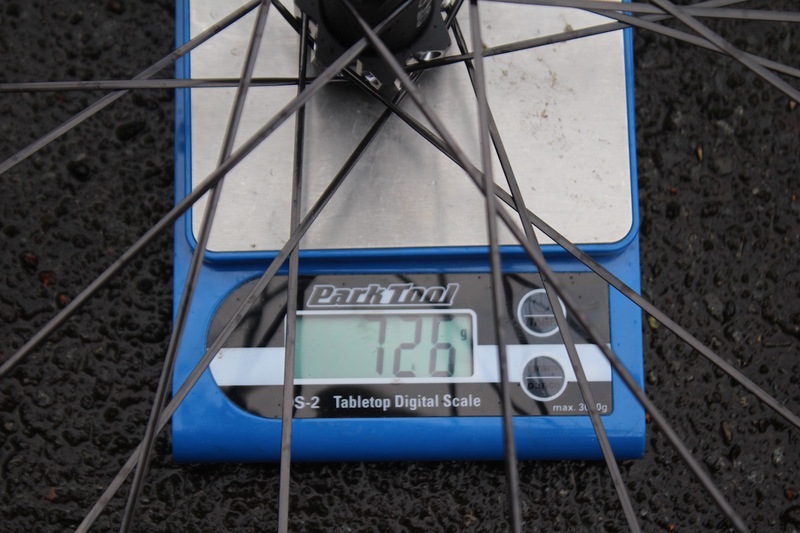 Most of them have come up at somewhere around 1500g – pretty respectable and a chunk off cheaper OEM wheelsets. All very well, Tom, but what’s this got to do with the price of fish I hear you say. 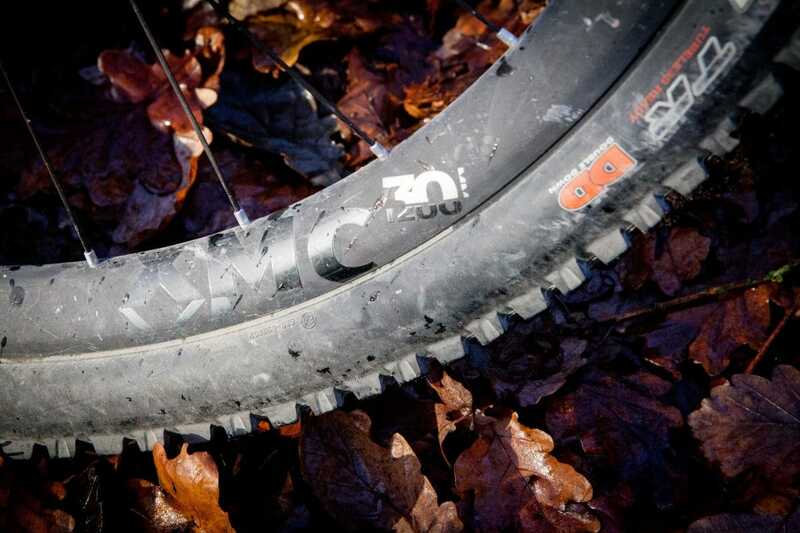 The DT Swiss XMC1200 Spline 30 wheels weigh 1575g. That’s right. A pair of wheels designed for the rigours of pretty much anything you can throw at them coming in under the weight of what would be considered respectable for many a good disc-braked road wheelset. Holy crap. As my eyes scanned down the spec sheet that small number was followed by a very big number. £1824.99. Holy crap once more. 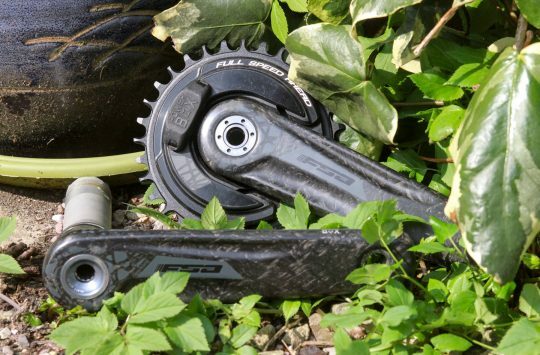 So, we’ve established that the XMC1200 Spline 30s are both very light and very expensive, but let’s take a deeper look at the DT Swiss offerings. Getting the basics out of the way, these are 29inch, carbon fibre-rimmed hoops, with a 30mm internal width. 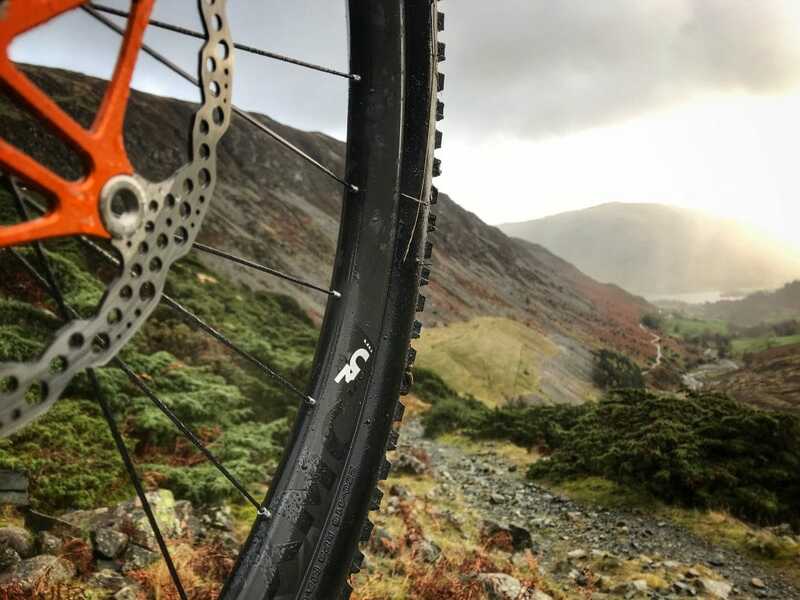 The company describes them as being designed for tough all mountain and trail riding, and ‘anyone who enjoys high speed climbing and descending’. Sign me up! A quick call to DT Swiss sadly confirmed that the rider would still need fitness and skill, so the test would have to be on the basis of moderate speed climbing and as fast as I dare descending. Enough of the rider and back to the wheelset for now. 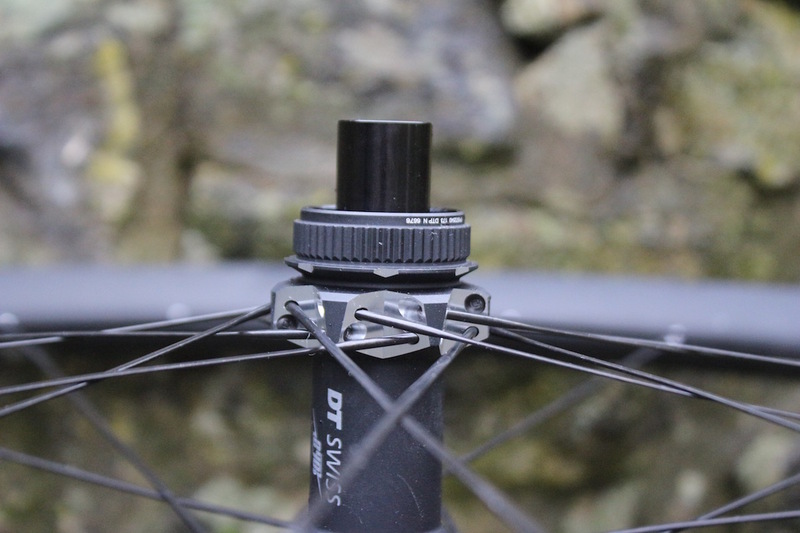 Starting in the middle, DT Swiss claims that the Spline 240 hub is the lightest it has ever built. The rear has 36 points of engagement in the freehub, (both Shimano and SRAM XD freehub bodies are included in the box) which should make for particularly speedy pick-up. Visually the hubs are very small – no high flanges and a body that doesn’t look that much larger than the axle. This slimmed down look is magnified by the use of Centerlock mounts for brake rotors. The hubs are available in both Boost and non-Boost versions. Our test set is Boost front and rear. Twenty eight DT Swiss (who else?) 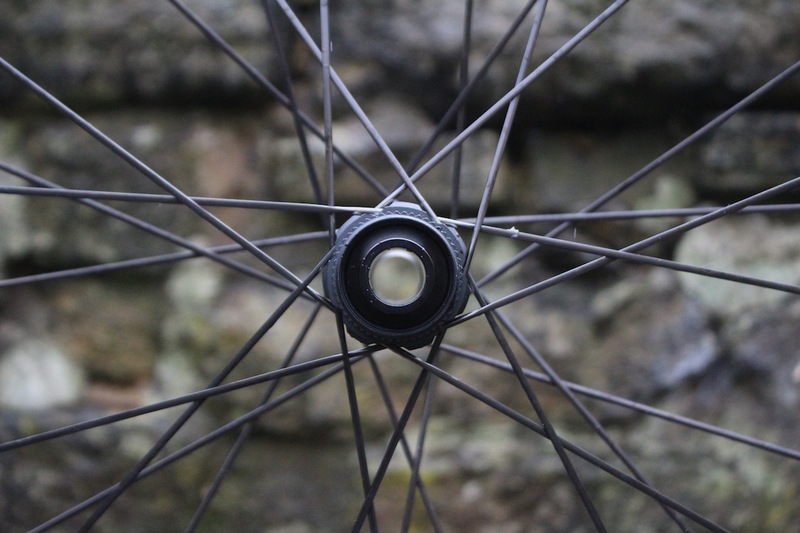 Aerolite straight-pull spokes lace the hubs to those chunky 30mm wide rims, both front and rear. The hookless beaded rims actually measure 36mm externally and 30mm internally. While not quite in the realm of semi-fat rims, they are designed to take a whole chunk of rubber (up to 2.6in should you wish). I’ve been running the alloy sisters to these rims for the past 12 months or so, and loved the profile that they give to a 2.3-2.5in tyre, squaring off the edges nicely. Those who are good at maths will have worked out that those measurements give the rim wall a width of 3mm. That’s pretty darn chunky. 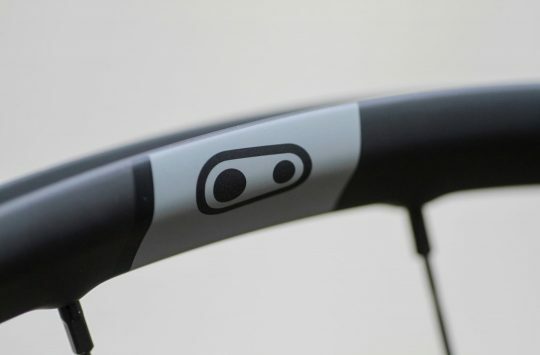 Some theoretical benefits to that should be: improved stiffness and overall strength – there’s more material after all; and a resistance to pinches and burps – the smooth, rounded profile should be less likely to cut tyres/tubes when smacked into a rock. While we are on tubes, the XMC1200s came fully taped and valved for tubeless straight from the box. So what should make this wheelset so good? Well, it sounds like the holy grail. 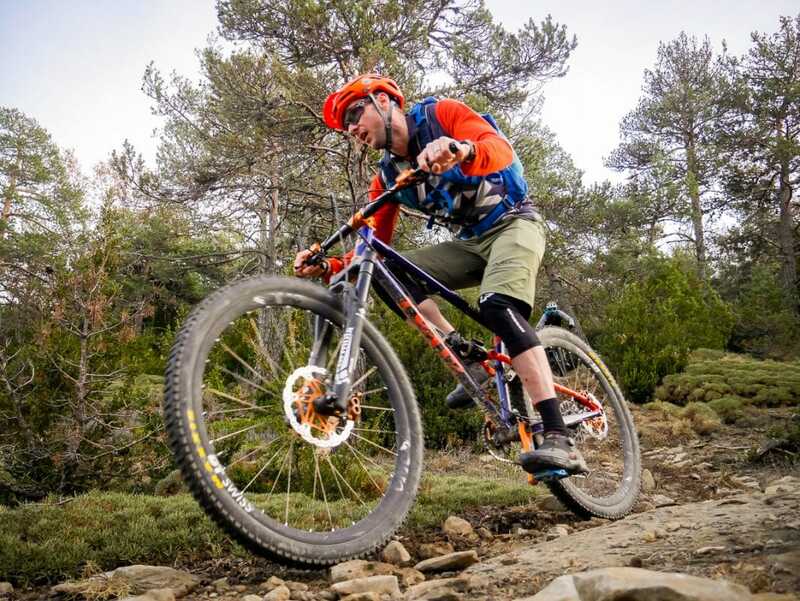 Lightweight, strong enough to take a punishing, stiff and with a rim profile that ekes the best out of a good set of enduro tyres. 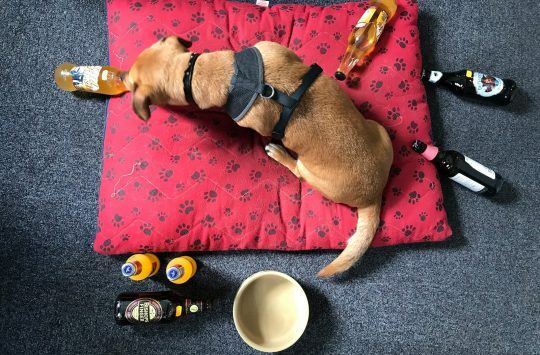 And what was I wary of going into testing? Stiff wheels are theoretically great, but a bit of flex often seems to help with both ride comfort and wheel tracking on rough ground. The rim looked robust, but would that stand up to real world clumsy landings? A bust rim would be a costly mistake. And most importantly, could I tell the difference between these and the alloy versions? Is it possible to justify spending this much on a wheelset? Centerlock rotor attachment. Converters are included. Let’s answer the price question first. £1824.99 is an astonishingly large amount of money. Of course it is. But, should you wish to buy a pair of Enve carbon wheels – the XMC1200s probably sit somewhere in between Enve’s M630 and M730 wheels – you’ll be staring down the barrel of a £2000-2100 bill just for the rims, never mind a full wheel build. 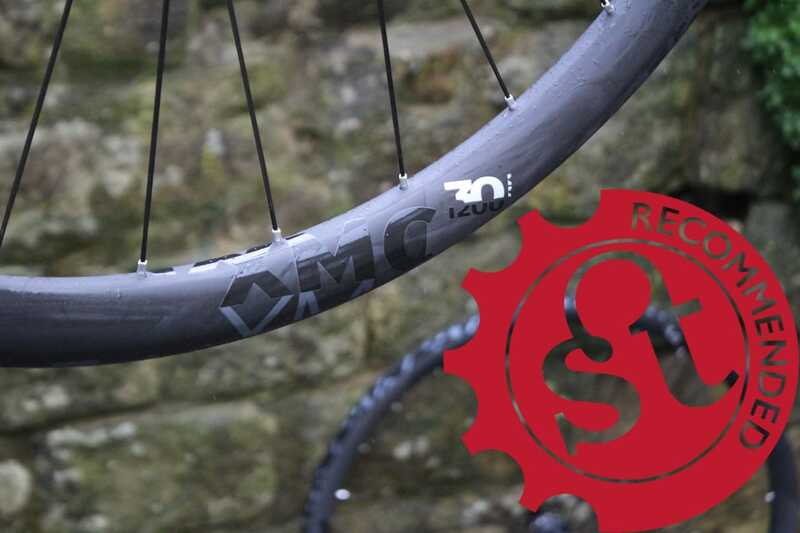 A pair of Santa Cruz Reserve wheels come in at £1599 for the wheelset. 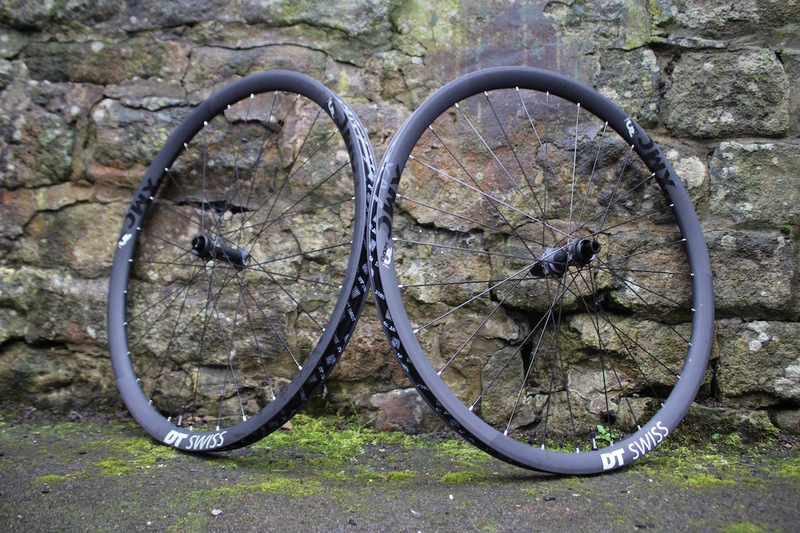 UK based Sixth Element wheels are £1449 for a similar weight/internal width, although they have a 32mm internal carbon wheelset available for sub-£1000. Basically, the XMC1200 Spline 30s sit comfortably alongside the competition. It would be extremely easy to spend more on a pair of carbon wheels, but there are some big hitters available for less. Should you like the sound of the 30mm internal rim width, DT Swiss offers a number of alloy alternatives, both as rims and full wheelsets. The M1900 Spline 30 looks to be the lowest cost full wheelset option, coming in well under £400 for the pair. I have been using the XM481 rims, which again have a 30mm internal width for the last year and are widely available for sub-£100 per rim. Lots of options, then, and for me we come back to the cost. Would I be able to justify the extra £1200 or so over the cost of my current wheelset? Would the performance be that much better? All my current wheels and brakes are 6-bolt disc interface. Fortunately the wheelset comes with adapters, so my existing discs could slot straight on. Fitting is extremely straightforward, with just a BSA external BB tool required to torque up the rotor mounts. I’d not make a purchasing decision based purely on how a rotor is mounted to the hub, but if you are a frequent traveller, then it’s great to be able to whip off the rotor from the wheel for packing in the same time it would take to remove a single bolt from a 6-bolt system. I guess the counter-argument to this is I’m rarely without a T25 Torx key, even if it is just a multi-tool. I only keep a BB tool in the workshop, so should the worst happen, trailside maintenance is trickier. Fortunately – and by design – the worst hasn’t happened. As mentioned above, the wheels came ready taped and valved for tubeless. Given that, it seems like madness to run inner tubes on a set up like this. Happily our test tyres went up a treat with a track pump and minimal swears. Since setting up, there has been not a burp nor leak that could be put down the rims. My choice of tyre was the excellent Maxxis High Roller II, 3C/TR/DD, 2.3in width. 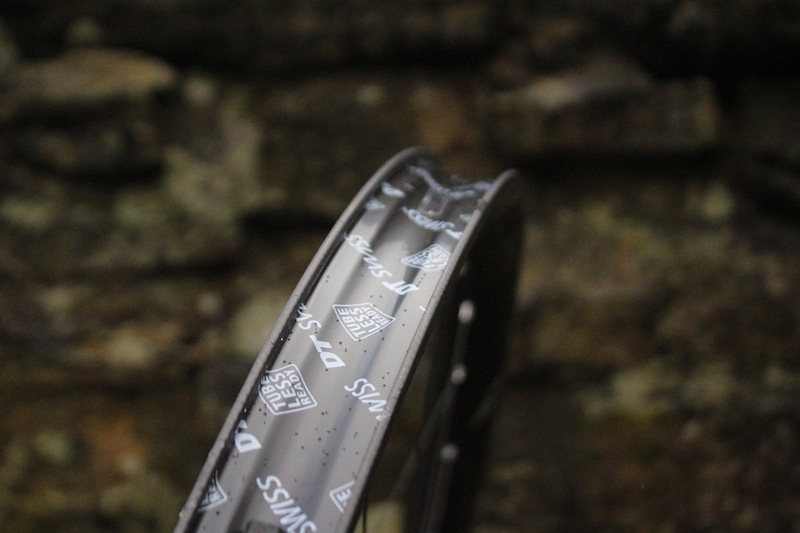 The 30mm rim profile created a great square edge to the tyre profile, and was noticeable when really leaning the bike over (said bike is an XL 29er and requires a fair bit o’ lean to see its way safely around many a corner). I’ll come back to this a little more later. Let’s get a few obvious, er, observations out of the way first. Light wheels get up to speed more easily. Helped by the 36pt freehub, pick up felt quick and contributed to making a big bike feel that bit easier to haul up hill. If 10º of rotation before pick up is too many for you, DT Swiss offers a 54pt mechanism as an aftermarket upgrade. This does come with a health warning that the quicker the engagement, the more maintenance you’ll have to do to keep everything working smoothly. Apparently the wheelset is used by Florian Vogel for World Cup XCO and I can well believe it. There are very few wheelsets that I have used that have felt as responsive, and none were rated for the kind of riding that the XMC1200s are. 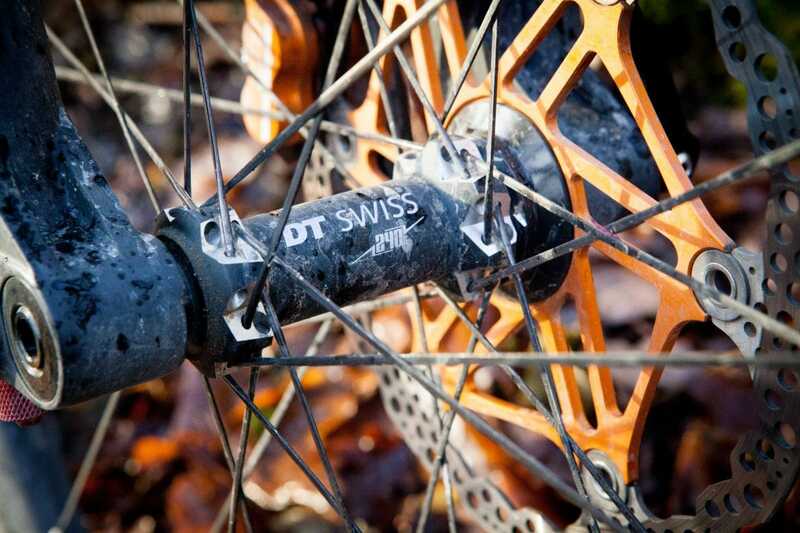 The DT Swiss 240 hub is a work of art. It looks incredibly slight on a Boost-spaced fork. 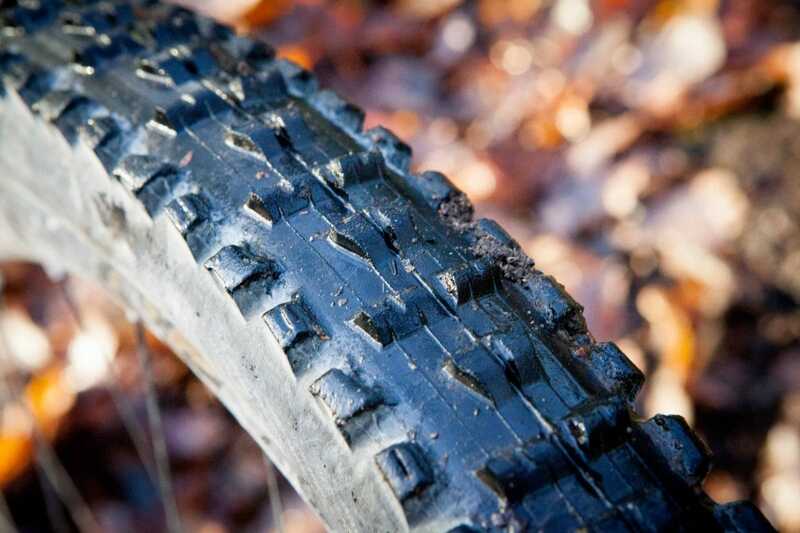 For me, 30mm internal rim width is a good sweet spot for “normal” mountain bike tyres. It’s crazy to think that only a few years ago I was squeezing similar width tyres onto a rim that wasn’t far off 10mm narrower. The width of a rim makes a massive difference to how a tyre sits on the wheel, and the profile that is created. Too narrow and the tyre ends up rounded, with less of a defined edge, but also less support and the tyre can feel like it is rolling and folding on to the rim under hard cornering. Widen the rim out to around 30mm, and more of the tyre is in contact with the trail, and the better supported the tyre is. The XMC1200s mirrored my other experiences of similar rims. 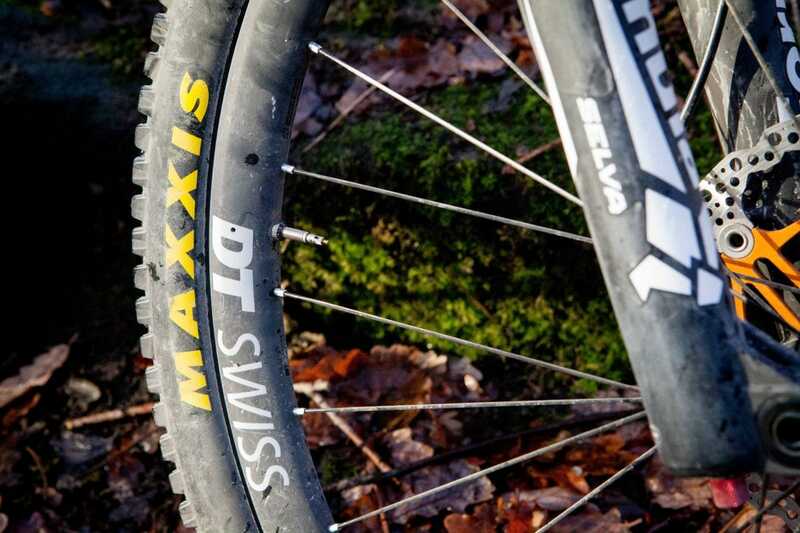 Combined with the sturdy sidewalls of the Maxxis tyres, the tyre felt well supported, especially under hard cornering, and I felt able to drop the pressure in the tyres to a point that I’d expect to feel squirming on a narrower wheelset. The thick, rounded profile to the hookless rim walls protect sidewalls from pinches and tears to the bead. 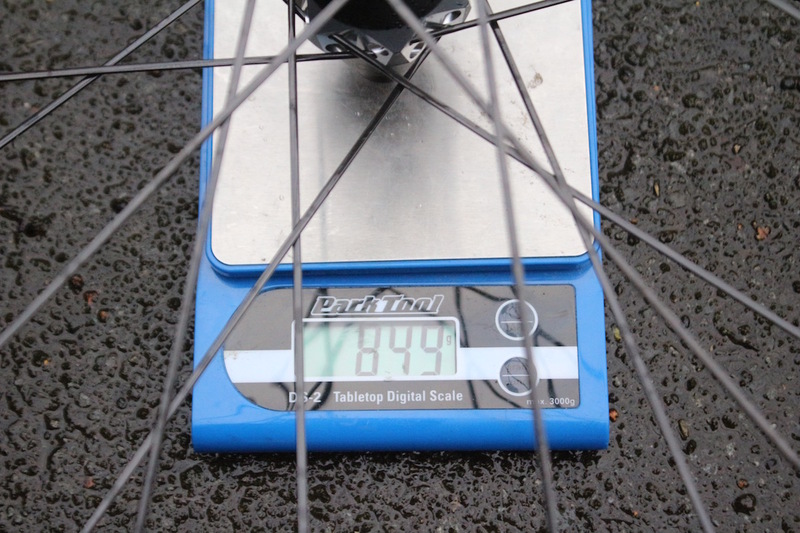 After some playing about, I settled on around 18psi-20psi front and rear for my 78kg fully kitted weight. Now exact pressures will always vary from person-to-person, tyre-to-tyre and depend on the terrain, but in general, I found myself running lower pressures than I would normally, with all the benefits this brings and didn’t experience a single problem as a result. Inevitably, when dropping pressure, there’s always a risk of rock strikes. Over the course of the test period, the XMC1200s experienced more than their fair share of clumsy landings, shortly followed by a wince from me and a hasty check of the rims. As time went on, though, I became less precious of the wheelset. Every time I looked, there wasn’t even a mark, never mind a crack. A week of riding the rubbly, rough EWS stages around Ainsa with Basque MTB left me convinced that the DT Swisses are more than strong enough to deal with anything that this rider can throw at them. One of the criticisms often thrown at carbon wheels is that the additional stiffness the material brings actually adversely effects the ride properties. Personally, while I’ve experienced a less comfortable ride on road bikes and rigid MTBs with carbon wheels, I haven’t noticed any other downsides associated with that stiffness. Back in the real world of a long travel 29er, there’s a fair bit of leverage going through the wheelset in cornering. It’s obviously hard to separate the effects of frame flex, suspension, tyre movement and wheel flex, but riding the XMC1200s back-to-back with their aluminium cousins, there was a difference in how the wheels felt. The carbon wheelset felt more precise, deflecting less. They never felt so stiff that I was losing traction as a result, skittering across ground rather than holding the line. Swapping back to the alloy wheels after a few weeks of riding carbon didn’t leave me feeling like I was riding a noodle, but I missed the combination of overall lighter weight and precise handling. In case it isn’t yet clear in the review, I absolutely loved this wheelset. They are as good as perfect for the riding that I do and have proved themselves to be more than durable enough over the test period. They tick every box in terms of specification and design and this translates into a great riding pair of hoops. I’m gutted to be handing them back, but there is some consolation in that the alloy versions deliver many of those benefits for significantly less. It won’t stop me from lusting after the XMC1200s though, and they are an upgrade that I will seriously consider once I get a decent price on a 38 year old kidney. In a world where £2000 isn’t unusual for a pair of carbon wheels, the DT Swiss XMC1200 Spline 30s actually represent decent value for money. They might not be as overtly bling as some, but that combination of subtle good looks and supreme performance will hopefully win over a few fans. Recommended.